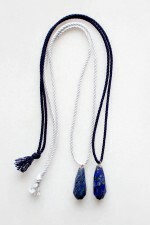 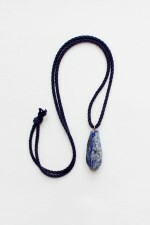 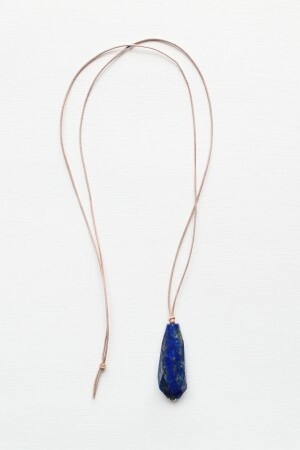 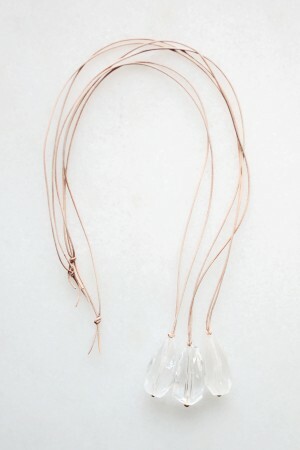 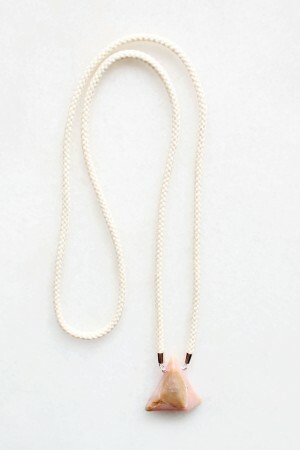 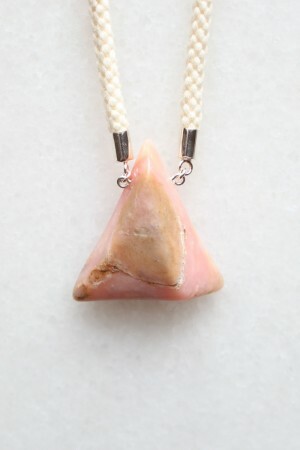 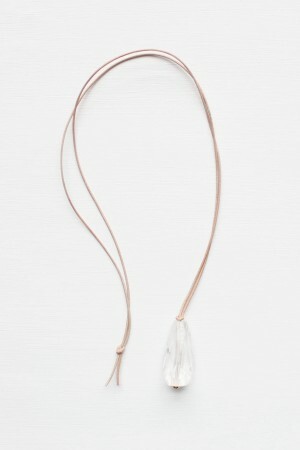 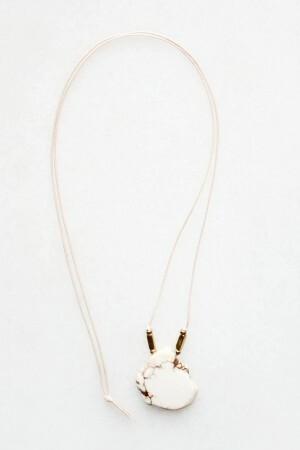 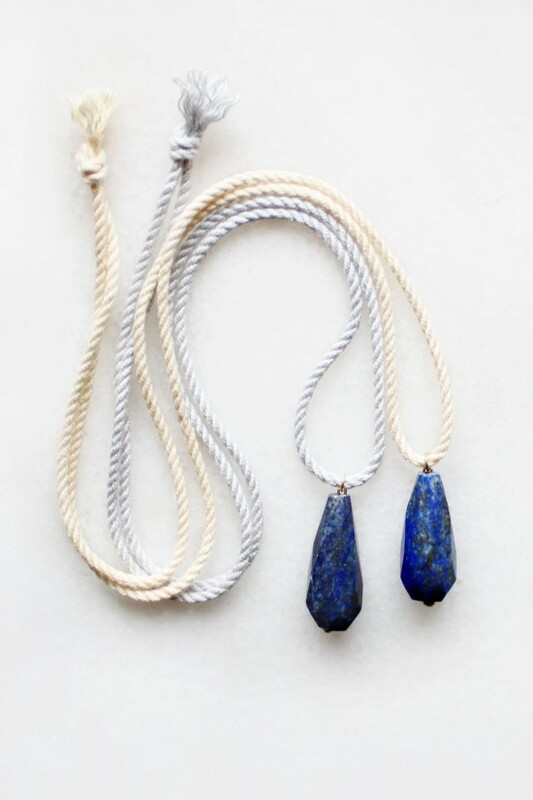 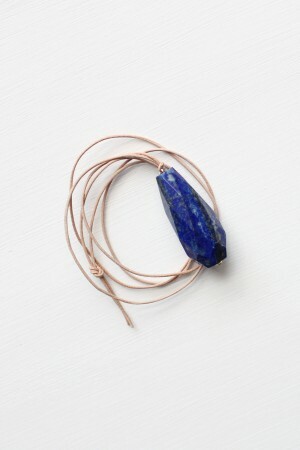 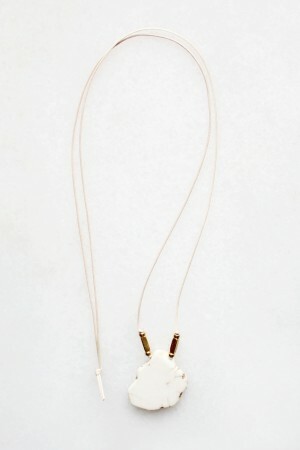 Rope necklace with a faceted lapis lazuli stone. 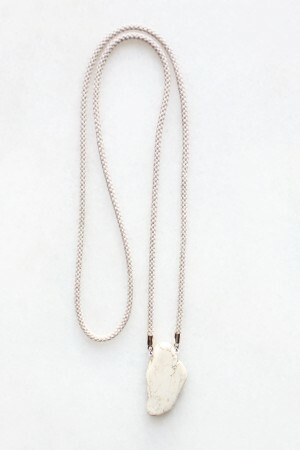 Each stone is unique, with varying patterns and inclusions of white calcite and shimmering pyrite. Available in a choice of pale blue, navy or soft cream. 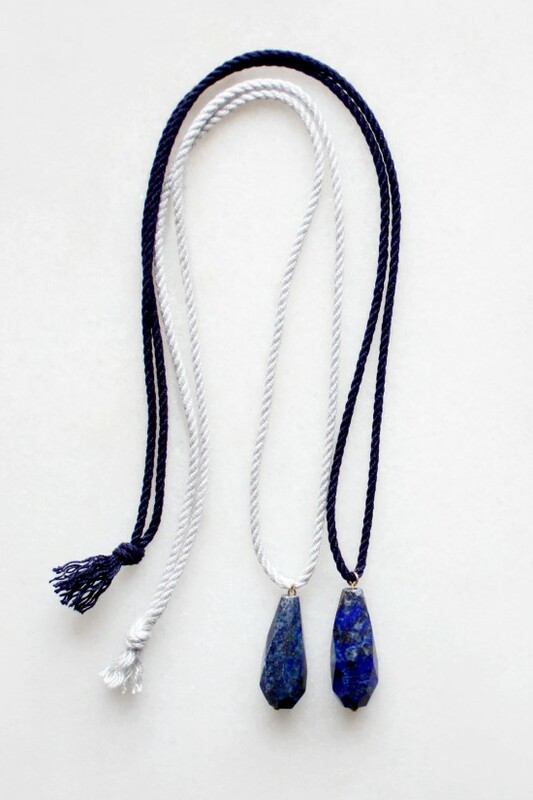 Please note: each stone is unique and may vary slightly from those pictured. 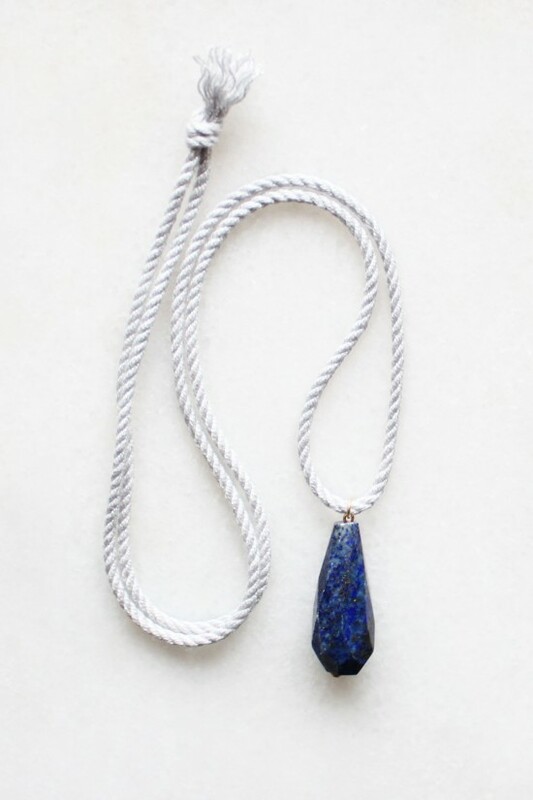 please get in touch if you would prefer to select your own stone.